Arm your crew with the durable, compact field computer that integrates a rich array of functionality, including photo capture and high-yield GPS receiver with 2 to 5 meter positioning accuracy in real time or 1 to 3 meter postprocessed. 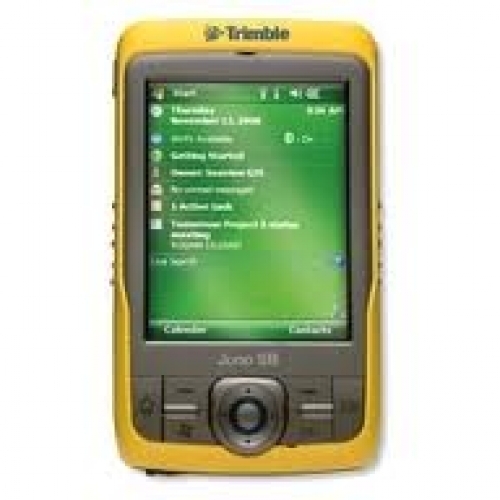 The Juno® SB handheld is the affordable way to maximize the productivity of your entire workforce. Standard wireless capabilities include built-in Bluetooth®, giving you cable-free connections to peripherals such as RFID readers and barcode scanners, and Wi-Fi wireless technology that enables you to access your organization's secure network to get the latest data. For these types of applications, the Juno SB handheld can be used in real time with its integrated SBAS receiver to achieve 2 to 5 meter positional accuracy. When higher accuracy is required to meet company or regulatory standards, the field data collected with the Juno SB handheld can be postprocessed with the new Trimble® DeltaPhase™ technology to achieve 1 to 3 meter accuracy.